Grenade .50 Calibre Pre-Workout Lemon Raid is rated 4.3 out of 5 by 8. 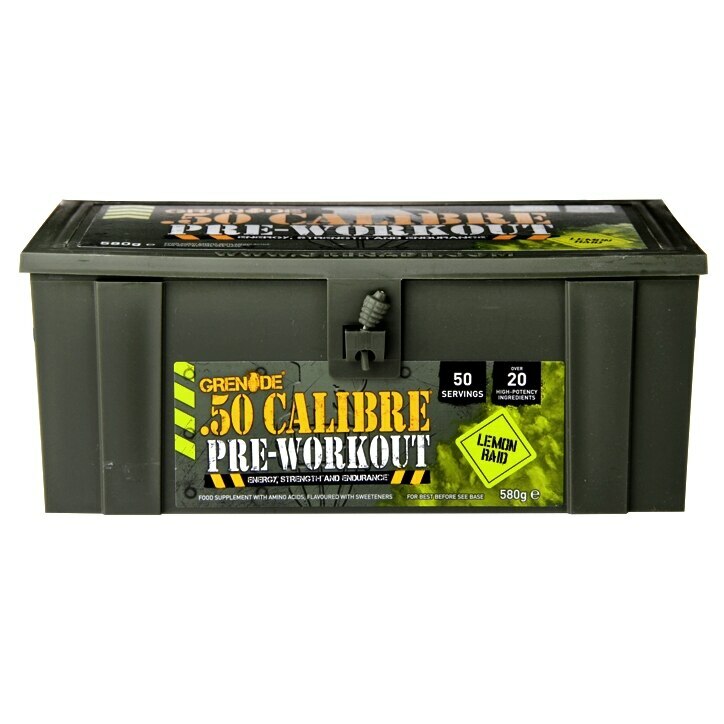 Rated 5 out of 5 by Me D from Grenade 50 calibre. Pre-workout. This is the 3rd time of me to by this. I have used it before. The deference is that this time I bought it online. I usually go to the H&B shop. It’s a good product. It’s does what it’s says on the box. I have been using for sometime now. And I love the results. Big ups. David. Rated 5 out of 5 by Lolimar from For marathon and 100k races Bought this for my sister-in-law who runs marathons and 100K races regularly. She swears by it. Lives in Spain. Has run Madrid, Barcelona, London , Paris and Rome. Has a place for Boston next year.